Here's a list of Ragnarok Online: Valkyrie Uprising Tips, Tricks and Strategy Guides, that will help you level up your characters through Ragnarok Online’s unique job system. Discover all new items and decorate your avatar in fun character costumes, mounts, and pets! 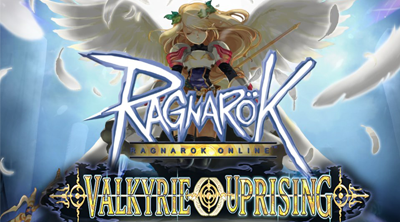 Ragnarok Online: Valkyrie Uprising is a very addictive Role Playing MMO game presented by NEOCYON.INC. Play through an immersive Mobile MMO that takes place in the anime style world of Ragnarok Online! Play with friends through massive open fields and instances. - Learn their Strengths and Weaknesses! - Craft to Get Better Cards! - How to Craft Powerful Equips! - Focuses on ATK, ASPD and CRIT. - Life Steal or HP Absorb for Survival! - Tank and Shatter Monsters Mobs! - Full Fire Build to Level Up Fast! - Level up Fast and Become A Priest! Thief Assassin Dagger Builds NEW! Thief Assassin Katar Builds NEW! - Monster Drops - Regular Maps Only! - All Cards From Rank 1 to 5! - Sunken Ship Dungeon NEW! - Pets and Compounding Gold Ingots! - Complete Revealing Truth 1~4 Quests! - Complete "Intermediate Quest 05"
- Tips to Get More Free Rubies! Trade. Recommended for Ruby Sellers. - Buy an Item Before Someone Else Does! Player Names for Quick Chats NEW!